the film was elaborately done, though in a tasteful way. Gatsby’s parties were spot on, brought to life the way F. Scott Fitzgerald intended them in his writing. Leonardo DiCaprio played the well-known Jay Gatsby, trying to attract the lovely Daisy Buchanan (Carey Mulligan), the object of his affection that lay just out of his reach. Tobey MacGuire narrates the film as Nick Carraway, following the novel spot on and acting as messenger between characters. Drama unfolds as Gatsby is reunited with his love, but faces a bump in the road—Tom Buchanan (Joel Edgerton), Daisy’s not so faithful husband who wants her all to himself. Through time spent together, Daisy and Gatsby’s love begins to blossom once more through this time of lust and dissolution that was the 20’s, though the ending is an unpleasant tragedy. The cast in this remake worked, despite skepticism from critics, and was one reason the film was a success. There was great chemistry between DiCaprio, Mullagon, MacGuire and Edgerton. While Robert Redford played Gatsby in the most famous previous film portrayal of the novel, DiCaprio added a spark to the character and really brought his thoughts and emotions to life. MacGuire also did well portraying Carraway’s quite and reserved, yet rebelliously guilty personality. Mulligan showed deep emotion as well. The entire cast worked well. From starring to minor roles, there wasn’t a character out of place. The fashions of the film seemed right out of the roaring 1920s. Men dressed in suits of different shades, and women wore flapper-esque outfits and glittering accessories to match. Luhrmann’s wife, costume designer Catherine Martin, worked with designerMiuccia Prada to develop more than 40 ensembles for the film, according toVogue. Diamond looks adorning the women of the movie were created as part of an exclusive collection through Tiffany’s. These elements, in addition to the décor of Gatsby’s home and elaborateness of his parties accurately portrayed the level of decadence. Similar to Luhrmann’s other movies, the film style in “Gatsby” was very flamboyant and at times seemed all over the place. There were some moments where the audience could easily get distracted, with quick camera movements, and a lot of action in each frame. Music in the film really drew in a younger crowd. A lot of hip hop music played, often in combination with old jazz for an interesting take on the tunes—bridging old with new. Jay Z, Beyonce, Andre 3000 and Will.I.Am are among artists on the soundtrack, though alternative musicians including Sia, Jack White, Gotye and Florence + The Machine added a different sound. 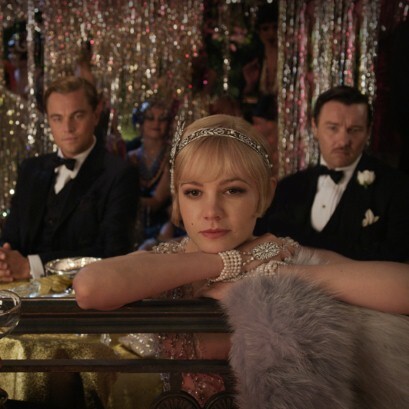 The track that most stood out in the film, however, had to be Lana Del Rey’s “Young and Beautiful.” The composition was played twice, at very emotional moments, and really depicted the strong feelings between Daisy and Gatsby. 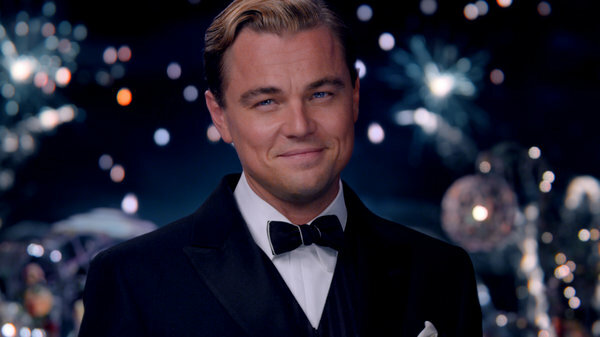 While people had their doubts, “The Great Gatsby” delivered. The film was self-indulgent but an accurate interpretation of the novel. Though at times bordering over the top, the movie was beautiful and well-planned to every last detail.